Since my first review, The Lacquer Lab have been busy making a name for themselves and bestowing lovely new collections upon us! The Miami collection is new for Summer 2014, and I've used 4 polishes from the collection for this nail art look. I started with a base of OPI My Boyfriend Scales Walls (my go-to gradient base) then I sponged on a gradient using Roller Babin', Ocean Drive and SoBe. 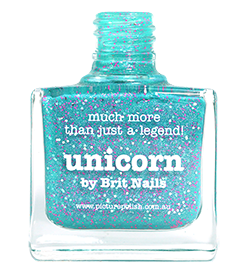 I topped it off with the crowning star of the collection, Dressed To Kill - a super sparkly mix of iridescent flakes and micro glitter in a clear base. I used 2 thin coats. Roller Babin' is a sweet sugary pink creme, perfect in 2 coats. Ocean Drive is a baby blue pastel. The formula here was a little thinner than the others and I needed 3 coats, but it's easily buildable. Also available in this collection is Kickin' It. 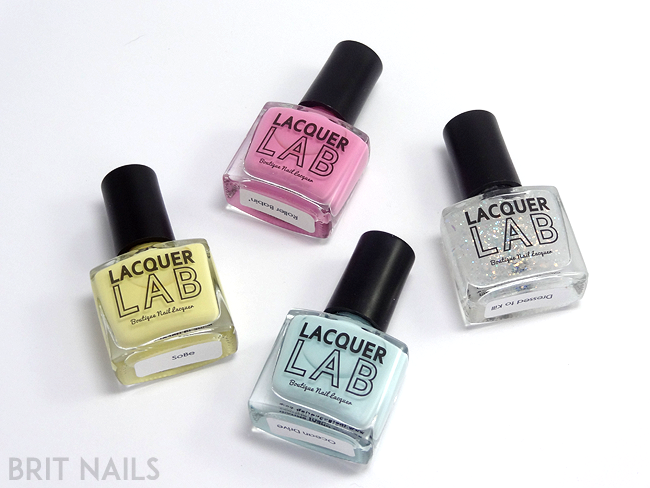 Another lovely collection from The Lacquer Lab, if you haven't given them a try yet I recommend that you do! Cruelty free, 5-free and British made, what's not to like?! 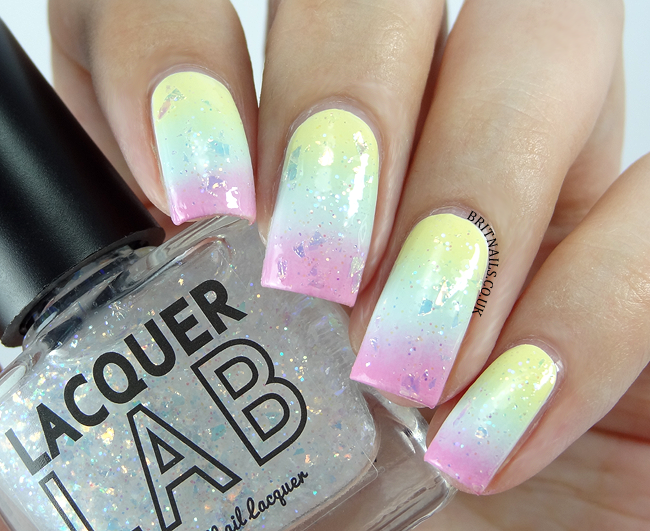 Amazing nails! How do you reach such a beautiful shape? I have tried recently but I wasn’t successful. 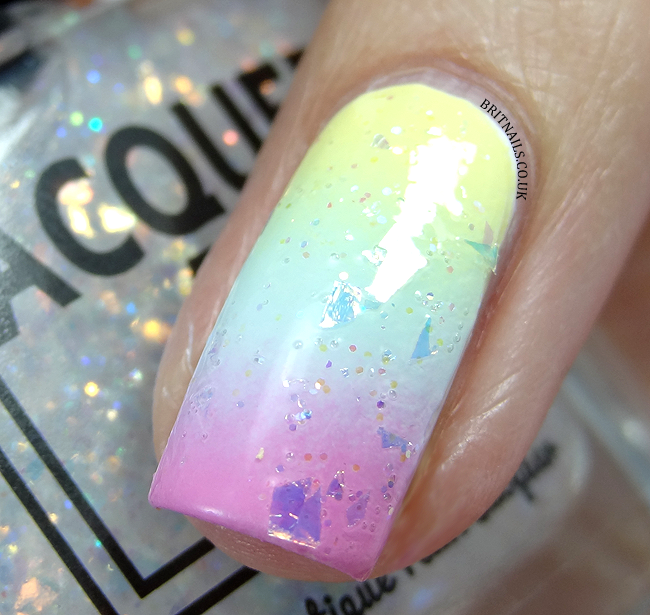 Love your gradient and that topper is fantastic! Great colors! 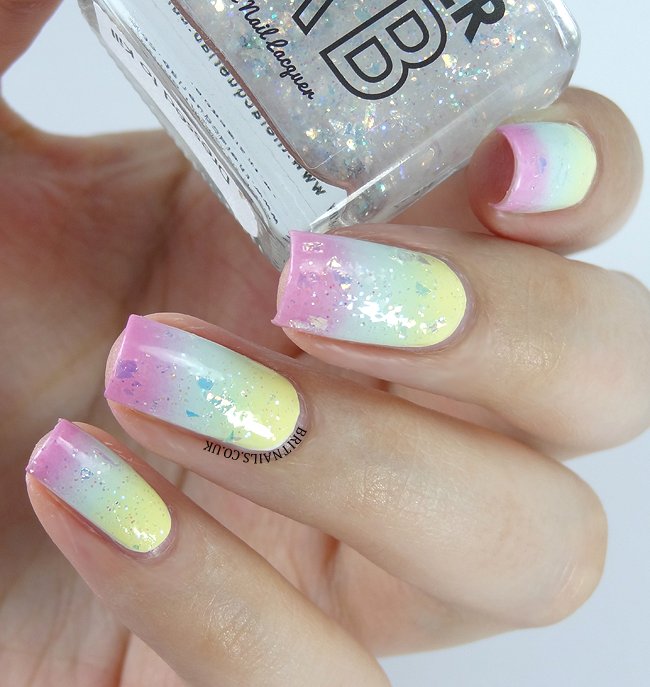 Love the gradient with this glitter! Your gradient is so pretty!